What is an Anti-Virus Protection Software? 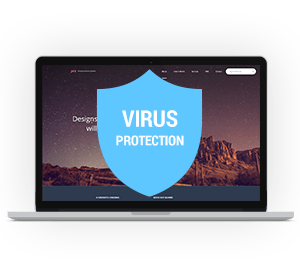 Virus Protection is key to a system or network security to battle against viruses, worms, trojans and all kinds of malware using different technologies. It integrates technologies like antivirus, anti-spyware, firewalls etc. What are the Measures to be Adopt for Best Virus Protection? Use of Antivirus - The first line of defence in PC security is installing an antivirus. It is vital to choose an antivirus that best suits your requirements to protect your computer even from the most dangerous zero day threats, those that have not yet been diagnosed by security analyst. There are many antivirus products, but only Comodo is architected to thwart even zero day threats. Use of Firewall - Firewall along with antivirus for virus protection stands as the first line of defence in the mechanism of PC security. Always ensure that the built-in firewall is enabled. It is also important to configure the Firewall correctly. Firewall blocks suspicious programs and hence provides PC security. Keeping Software updated - It is not just about installing a software and application in your system, be it security software or an operating system or any other application. Software that you install can end up having some security issues. Hence updating the software that is already installed in your system can prevent the hackers from exploiting the system and thereby making it prone to malicious attacks. Download only trusted programs - Ensure that you download and run programs and applications from a trusted source. Also make sure you do not open any executable software that comes as email attachments. Avoid pirated software - if you want to ensure PC security. It is the best choice to avoid cracked or pirated software. There are culprits who provides malicious programs in the form of useful software that might let a less experienced user to run the program, thereby getting infected. Be cautious about Phishing and Social Engineering - Do not share sensitive and personal information online. Though there is a protective measure that is offered by Browsers to protect from phishing attacks, they cannot be perfect any day. Make sure that you share your details over the network only to authenticated individuals and websites. Do not dare to click on links that are sent to you through mails, they might direct you to malicious sites. Be wise with Passwords - It is advisable to use a wise combination of alphabets either big or small, numerals, characters and so. Do not use the same password for all the accounts that you have over the network. Implement the use of unique password for each of your accounts. Comodo Virus Protection - the best software! Best software by far. Stay protected! Comodo Antivirus is the best free virus protection software that comes with exceptional protection features. Extremely satisfied. I am careless and sluggish - I got Comodo watching my comp. Never worry if you got Comodo installed on your computer. It easily removes all the nonsense. Trust my words - install it to stay safe online! The best free virus protection software I have come across so far.